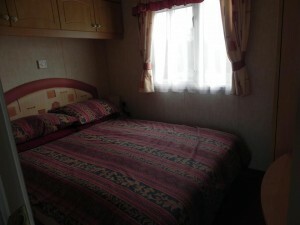 3 bedrooms – 1 double and 2 twin. Electricity and calor gas is included in the price. 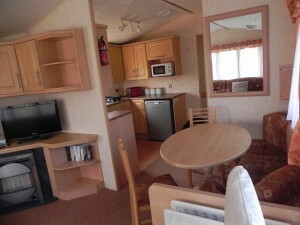 Please note that this caravan is bordered by a burn which is not fenced.